In 2001, a message came down from the top echelons of the Chinese Communist Party: China Central Television’s international broadcasting station, CCTV-9, was due for a radical transformation. The order, from Li Changchun, China’s top media control official, called for a shift away from covering events in China. Instead, according to the order, China’s global channel should focus much more on global events. The plan had two goals. One was to promote an alternative media perspective to challenge the hegemony of western international broadcasters – as Al Jazeera’s Arabic channel was already doing in the Middle East. The other goal was closely related: to use the “soft power” of media to promote the Chinese Communist Party’s influence abroad. China’s Communist leaders “increasingly see themselves engaged in a ‘global war for public opinion,’ ” according to David Bandurski, editor of the China Media Project, a Beijing-based nonprofit group that monitors Chinese media. ”They have become obsessed with finding new and creative ways to leverage technology to grasp what they see as their rightful share of global influence,” Bandurski wrote on the project’s website. To widen their influence, China’s leaders have poured billions of dollars into CCTV and other international media ventures, such as the state wire service Xinhua. Some of that funding paid to add dozens of bureaus and scores of correspondents around the world, to report for the revamped CCTV-9, which launched under a new name, CCTV-International, in 2004. The new channel also hired native English speakers and dramatically increased its coverage of international events. And it embarked on an aggressive campaign to introduce its programming around the world, including in the U.S.
“Anywhere there’s a Western media presence, the [Chinese Communist Party] wants their channels there as well,” said Sophie Beach, a freelance journalist who has written extensively on Chinese media. The motherland’s deep pockets mean that CCTV-I is expanding at precisely the moment that the global recession is squeezing private media corporations across the globe. But all of that spending has yet to produce a broadcast with global credibility and world-class technical standards. Technical glitches and professional faux pas are not uncommon. CCTV’s online livestream often malfunctions, and facts announced by anchors are not always corroborated by their reporters on the ground. More fundamentally, CCTV-I’s content shows the invisible stamp of government censorship, and its stories are framed within the narrow confines of the Communist Party line. As with all state media in China, CCTV-I’s stories must be inspected by the Ministry of Information before broadcast. “Particularly right now, with all the unrest that’s going on in the Middle East, media control is among the government’s top priorities,” said Beach. Yet the programs aired on CCTV-I differ from the heavier-handed content of state TV news shown within China itself. While much is omitted – the poverty and pollution endemic to certain regions in China, or the unrest among Uighur and Tibetan minorities – CCTV-I does not appear to falsify or blatantly distort information. There is no fiery Cold War, east-versus-west rhetoric. There is plenty of criticism of the United States (and virtually none of China’s own leaders). But CCTV-I’s hosts use a lighter touch than their counterparts at state-financed Press TV from Iran or Russia’s RT. They suggest, by way of implication, rather than assertion, that the world’s only superpower is in decline and fearful of China’s ascendancy. In contrast, the global programming of CCTV more closely approximates international standards of objectivity. Jim Laurie, a professor of Asian media at Hong Kong University and a paid consultant for CCTV’s international ventures, said some editors in the global operation are pushing for even greater freedom. “A debate has developed both inside and outside CCTV over the role of foreign language television broadcast from China and the need to free it from the restrictions tightly held over domestic broadcasting,” he wrote in a recent e-mail interview. “Gradually a ‘one country, two systems’ approach is taking shape” in which separate standards apply respectively to the local and international arms of CCTV, said Laurie. But, he added, that debate is still in an embryonic state. As it seeks to balance autonomy with fealty to its state sponsor, CCTV-I is also trying to edge closer to international standards of technical professionalism. The results have been wildly mixed. Many of its broadcasts look amateurish. In one segment of the program News Update, loose wires trailing from an anchor’s microphone were visible on camera; in another, an anchor launched into the day’s top story only to be informed, on camera, that the lineup had changed. Often, the same “correspondent” narrates back-to-back segments – even if the stories involved are happening on opposite sides of the globe. Occasionally, anchors and correspondents cite contradictory facts without offering explanations for the discrepancy. The first of these stories was filed by freelancer Yama Wolasmal, whose work appears primarily on Norway’s TV-2; the second was by Andy Saputra, a regular blogger and producer for CNN. “(International journalists hired by CCTV) do first-hand, original news packages, two-ways, interviews and their output [is] usually of high quality,” explained a high-ranking CCTV official, reached through Jim Laurie in Beijing. But a second team, this one young and inexperienced and relying on wire service video footage, is responsible for other news packages on CCTV’s international broadcasts, according to the editor, who did not want to be named because he was not authorized to speak. “Most of this team [is comprised of] young, fresh University graduates, lacking professional experience, with little knowledge of other international television channels,” he said. Laboratory workshop. Media giant. Global ambassador. Soft power push. CCTV-I in its current incarnation strives to be all these things at once, but the result is a muddled image. The channel will have to strike a balance between its disparate goals if it is to achieve a coherent identity. And gaining credibility with a broad global audience would require much more editorial independence than China’s current communist leaders seem likely to allow. Sanya Khetani, Bilal Lakhani and Nathanael Massey reported on CCTV-International. 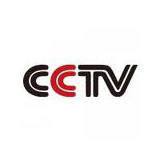 Created: CCTV-International launched in 2004. It is a restructured version of an earlier channel called CCTV-9. Budget: Unknown. The South China Morning Post reported in December of 2009 that the Chinese government had allotted $6.6 billion to its several international media ventures, among them CCTV-I. Audience: CCTV-I officials say their channel reaches 45 million people in over 100 countries. The figures could not be independently corroborated. In a nutshell: The Chinese Communist Party has poured resources into CCTV-I and allowed it a degree of autonomy unknown among regional Chinese broadcasters. But the channel’s technical quality is highly inconsistent, and its content bears the clear stamp of government censorship. 3CCTV’s coverage of America shows a subtle, but clear, bias. For example, all the talking heads interviewed about the U.S.-backed military intervention in Libya were opposed to it. Overall, the reporting on America lacks balance but isn’t blatantly propagandistic. 3CCTV reporters were quick to reach Libya and Japan to cover those major stories. But reporting from the field lacks depth and is often too dull to engage an audience. 2Little more than puff pieces. The Chinese government is off limits for sharp criticism. When social problems or political issues are tackled, they are couched in praise for government actions. 1There’s no sound bite culture; talking heads drone on at boring length. Reporters dumb down the news. Wires are visible dangling down the backs of news anchors. It all gives off an aura of unprofessionalism. 2With criticism of the government muted and international reporting burdened by the need to mirror Chinese foreign policy, CCTV will struggle to gain an audience that finds its reporting interesting and credible. Ratings are based on a scale of 1 to 5, a rating of “1″ being the lowest. To see how this channel compares to the other four, go to the Scorecard page.